Most pilgrims who visit the Monasterio de Suso are drawn by its religious significance. 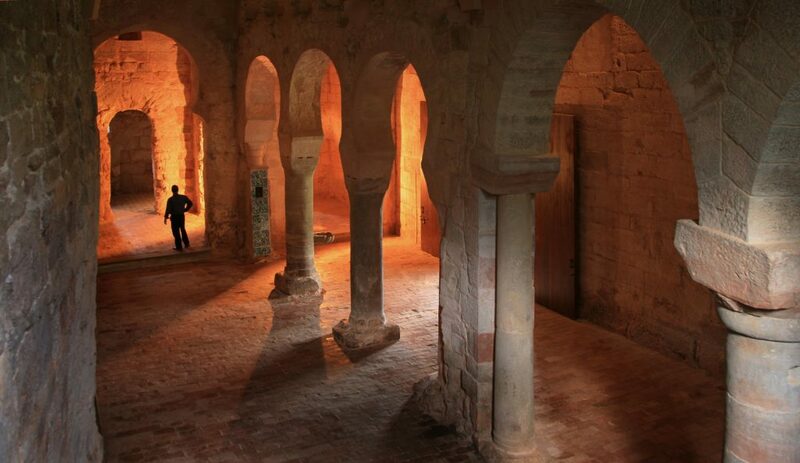 The monastery is built around, and still incorporates, the hillside cave where the Visigothic hermit San Millán retreated from the world, gathering acolytes over the decades until he died in 574 C.E. at the age of 101. His sarcophagus is still in Suso, though his remains have been transferred to the Monasterio de Yuso, the larger monastery later built at the base of the hill to support his increased following. 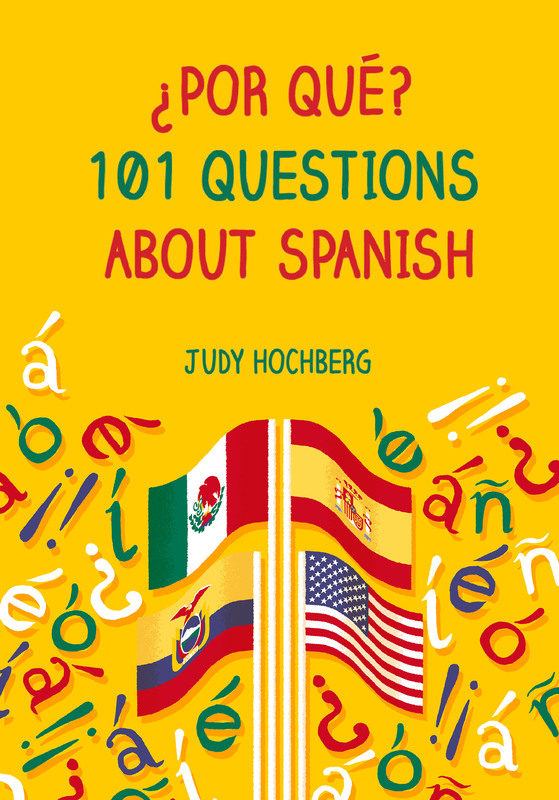 Our peregrination, though, was linguistic (“we” being I and my friend Sue, who’s joined me on a linguistic tour of northern Spain). Suso originally included a “scriptorium” — a room devoted to the copying of manuscripts. Here, some unknown scribe made annotations, in an early form of Spanish (and also in Basque) in the margin of a Latin text. These annotations, known as the Glosas Emilianenses, are among the earliest examples of written Spanish. The volume containing the glosas is now in the Real Academia de la Historia in Madrid. The scriptorium no longer exists. Back down at Yuso, we were tempted to stop for a snack at the “Mesón Las Glosas” but had to push on to Girona. 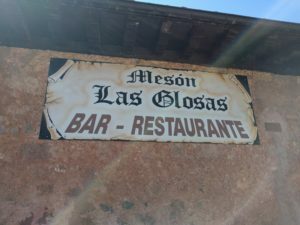 This entry was posted in From Latin to Spanish, Linguistic tour of northern Spain and tagged Glosas Emlianenses, La Rioja, Monasterio de Suso, Monasterio de Yuso, Spanish on 23 June, 2016 by jhochberg.